On July 6th, rise with Lac-Megantic to send the message: Keep Oil Off the Rails and In the Ground! Join us as we stand with residents in Lac-Megantic, grassroots activists across North America, and with ForestEthics, 350.org, Oil Change International and the Sierra Club. We will be taking a group photo on the dock near the bathrooms, over the tracks, with a memorial which includes 47 silhouettes of the victims with their stories displayed. This memorial will be installed in a public location after the event. If you would like to help with making the memorial, please attend the Memorial Art Build at Laurel Park on June 27, 10 am. At a time when the urgency for climate action is at its greatest in history, we cannot fall into the oil industry’s distracting debates on the ‘best methods’ to transport fossil fuels. As our movement has blocked climate-killing pipelines across North America, big oil has moved at an alarming rate to transport oil by rail. 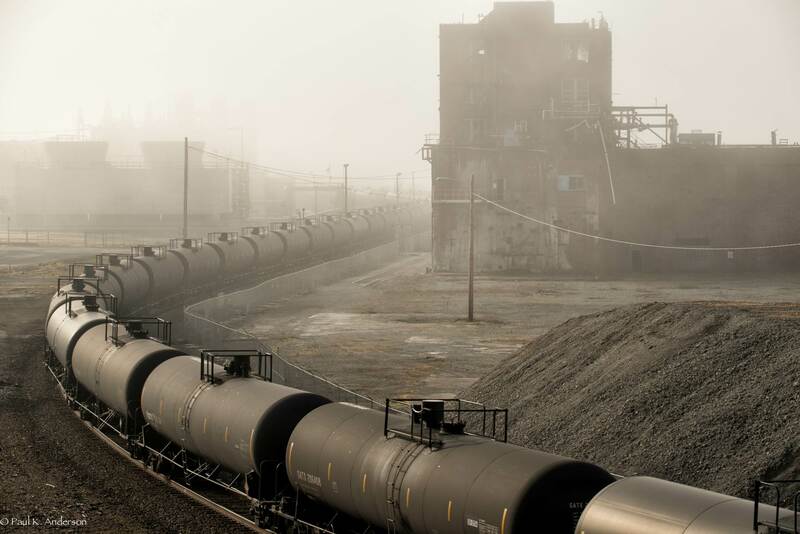 Yet despite dozens of oil train disasters, the oil industry is seeking to dramatically expand oil by rail in the US and in Canada. Lac-Megantic’s struggle is a grim reminder to us all: Big Oil will stop at nothing to extract, transport, and burn every drop of oil in the ground. No matter the risk, no matter the cost to public health, safety, and the climate, the oil industry will jump at every opportunity to profit. But now we say NO MORE. No more exploding trains. No more tar sands. No more reckless endangerment of our communities and our climate! Join our event on July 6th. For last minute details or further updates visit www.facebook.com/350bellingham.